Service is promoted as a virtue by those who are being serviced and those who serve. Look around, and you will see that the service sector is thoroughly dominating. This is a sign that people are so rich that they have nothing better to do than to go around and do things for each other and get paid to do so. To put it more bluntly, convincing someone that they need you or your services is pretty much the only way to make money these days. This can be done either directly by promoting specialization and professionalism which is a simultaneous promotion of general incompetence either for lack of skill or for lack of time of all other areas, which thus is a brilliantly sneaky way of keeping the middle class consumer on the hook; or it can be done through shoddy products that break in rapid order and need to be replaced—high depreciation costs are essentially a form of service cost as it is a current liability; or it can be done through a combination buy-in by selling cheap assets but tying them to a service plan like the people who are bonded to their phone and cable services. Yes, with your college education, your career, your 9-5 job, and you various plans and poorly built environment, you, my friend, are caught! 26 users responded in " The service trap "
Depreciation as deferred service; damn that’s insightful. Is writing this blog a service? @Andy – I think for this particular blog most posts are not time-dependent and could thus be considered a product rather than a service. This of course does not mean that people will read anything but new posts, but a few actually do. However, consider what would happen to most if not all blogs (this one too), if the author stopped writing. I’d venture that income would drop rapidly. Hence, if pursued as a career, blogging is a trap. …and some of us just enjoy helping others. I don’t get much enjoyment out of doing things only for myself, other than pure learning. Not everyone is such a genius to be able to be a knowledge worker like you. Jacob, have you ever thought of starting a forum? Hmm, this is a statement that bears a lot of reflection. If it’s true, how else have people made money? Are there really no true products anymore? Can’t making and selling a product be considered a service (ie., providing someone with something they need)? Even a barter economy could be considered a service economy. Maybe a better distinction lies in the kinds of services now on offer – getting people to do your own laundry, paint your own toenails, or with the rise of VA’s (virtual assistants) who pick out/buy new clothes for you, find you a date, or whatever else. @Alex – I have thought of taking over a small country. What kind of forums are you thinking of? @Jacob – like early-retirement.org, except with a slant towards extreme early retirement. So we can ask each other questions, as well as you. @Alex – I think JD runs a forum on his site. I’ll see if I can set something up but do you really think there are enough of us to warrant a forum? @Jacob – Yeah…that’s true, there aren’t many of us. I think that’s why it might be important to have one, so we can connect and know we’re not alone, and not have to deal with the “but you can’t possibly live on so little?” that other forums have. It would be best if you could integrate the forum with your own site, here. Build on the brand you already have. Wisebread forums seem to be popular, maybe you could use that model if it’s easy to implement. @Jacob – Do you need a facebook for that? @Alex – I think so. There are 84 people in there, but not much going on. I’ll keep looking into the forums. It’s harder to offshore services, same as construction. That is why the majority of our real economywas construction and services and now is just services. Everything else can be done cheaper with someone with a comparative advantage due to extremely low labor costs offshore. It doesn’t really matter how great your absolute advantage may be, the labor cost trumps it. Maybe this is why such a large proportion of our economy is devoted to healthcare. Not that there is more healthcare going on but that there is less of the rest of the economy. Outside of the occasional medical tourist it really can’t be offshored, but more commonly the cheaper healthcare workers are brought here. This flies in the face of Division of Labor and the subsequent development of the specialization of labor. We are not all skilled enough to conduct surgery, automotive repair, or even building furniture enough to make this work. The division of labor is a required event in a growing economy. But there is very real merit in this post if you stay within reasonable limits. If I have a lifestyle that consists of zero leisure time then all my time is consumed with productive activities. Time was, this consisted of hunting and gathering. But this was also a time when every productive act which went to my benefit was performed entirely by myself. Very limiting considering I’m a poor hunter. If I choose to maximize my leisure time then I have to start consuming some of my assets/wealth/money to have other people provide me with my productive needs (hunting for me, gathering for me…). The death spiral happens when we develop such highly specialized labor that we no longer have the knowledge to perform basic productive needs (fixing a faucet leak, building a book shelf) which forces us to consume/spend our way to meeting these productive needs. Which often times requires more money which leads to more specialization to less knowledge about other things to spending more money… You get the picture. This too has it’s limit. But there are a lot of things that are easy to learn or do in our spare time which will save us money to use for something else, like retirement. Rarely is this considered when something goes wrong. You’d be surprised how much you really can do yourself if you try. Last week I removed 3 stumps in 2.5 hours. Free tree removal and a great workout. It was literally time well spent. In the same light that you have to own and control your expenses in order to achieve early retirement or any level of financial stability – also considering owning your amount of leisure time. It’s not necessary that we spend the entire Memorial Day Weekend on our asses doing nothing. I can’t count the number of times I have been paid to do things like hang curtains or pictures, clear drains, replace locks and switches… these are not technical tasks. They require the technical savvy to turn a screwdriver. People’s incompetence allows me to live very comfortably on about 20 hours a week. Similarly, peoples (and businesses) reliance on loans and credit is what allows investors to make money without actually doing anything productive. Long live the gross inefficiencies of the system! I don’t see the logic that service is a trap. If you’re not making money by manufacturing raw materials into salable widgets, then you’re servicing customers in many different ways, including the sharing of information as you do in this blog. This post is about an inch wide, and inch deep. @Adam – Read Tom’s comment above if you didn’t understand the point of the post. Service is only a trap when taken too far. You have a choice: learn to use a paint brush or pay someone who (hopefully) does. The more you chose to do yourself the earlier you can retire. But at the cost of leisure time. 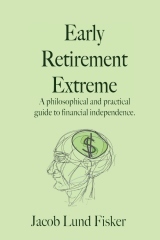 The extremes are to have zero leisure time always building and repairing your capital assets (plumbing, windows, car, bike, clothing) and the other is to spend all your money, foregoing retirement, having everything done for you beyond your one highly specialized job. In order to retire early you must own/control your spending so that you can establish a goal in order to reach it. But another component to this is to own/control your leisure time. How much do you need versus want? And if you decide you only need 16 hours a week, then you have a lot of time available on managing capital assets – which saves a lot of money and a lot of expenses. @tom – you left out the third option, which is to avoid having too many capital assets in the first place.